Are you planning a trip to the United Kingdom this year? While your experience may be good, you can always make it better. So how? Travelling at the time of a festival or a great event enhances the whole travel experience. The UK this year is stacked with a huge amount of events that you, with your family or friends, can enjoy. Whether you like sports or music, there’s something for everyone. For all the football fans out there, if you are going to be here in UK, this is something you just can’t miss. The English Premier League already has the best football drama and action in the world, with an array of star-studded talent. If you too want to be a part of the thousands cheering on their team at the stadium, this is your chance. And with a good hospitality package, the experience will be enhanced further – from walking the ground with the legends of the game to enjoying a delicious four-course meal amidst the heritage houses of football, you get it all. Another great sports event taking place in England in 2019 is the Cricket World Cup. You can catch live cricket action at some of the greatest temples of the game, like The Oval, Lord’s, Edgbaston and Headingley as 20 of the best cricketing sides in the world take on each other for cup glory. The tournament starts on May 30 – so, before the stands are sold out, get yourself booked for some great cricket hospitality. And if you like basketball more than cricket or football, here’s some great news for you: The NBA 2019 is in London for one night. If you want to catch up as the Washington Wizards take on the New York Knicks, this is the deal. The megastars of the game are going to be in the UK just for one night only. The venue is the 02 Arena, London. For more details, get in touch with a hospitality packages agency. 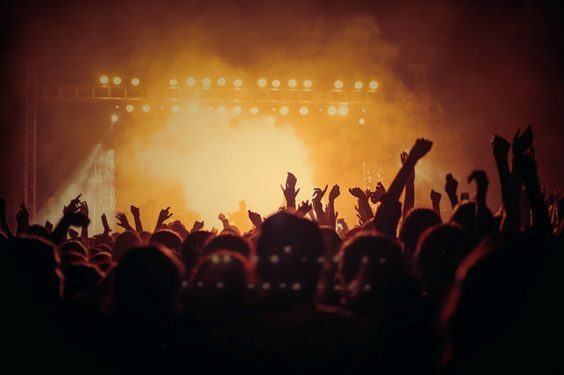 And finally to those who just want to lose themselves to the rhythm, the UK is hosting a huge number of musical gigs at some of the greatest venues, offering unmatched hospitality experiences for you and your family and friends. From Ozzy Osbourne to the Backstreet Boys, from Drake to Pink, from Nicki Minaj to Post Malone, they’re all going to be in the UK. Sounds exciting? It does to us too. Your best bet is to find the hospitality packages which suit your needs and budget the best and enjoy these gigs over great food and drinks made available on demand. Travelling to the UK is great fun. There is a lot to explore and experience. While the trip itself is exciting, sports and music hospitality packages make it even better. Here, we have listed just a few of the hottest sporting and musical events taking place in UK this year. If you’re still not sure, share and discuss this post with your friends – maybe they’ll help out with even more ideas.